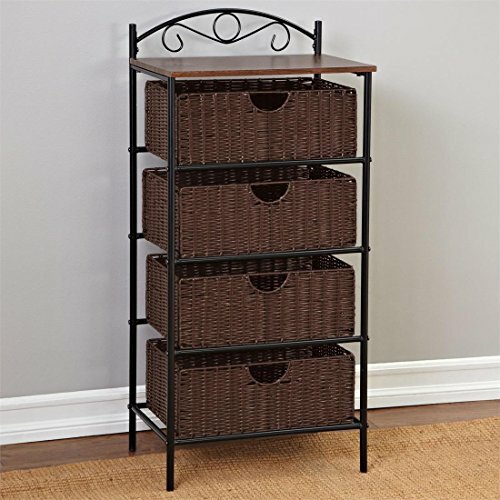 This 4-drawer wicker look storage is decorative, durable and features a beautiful scroll design top. Create space for all of your belongings in any room! each drawer: 6″H x 16″L x 11″W overall dimensions: 39.5″H x 18″L x 13¼”D MDF/metal/plastic resin wipe clean with dry cloth imported be sure to shop our closets & space savers, as well as laundry organizers for a cleaner, neater home! 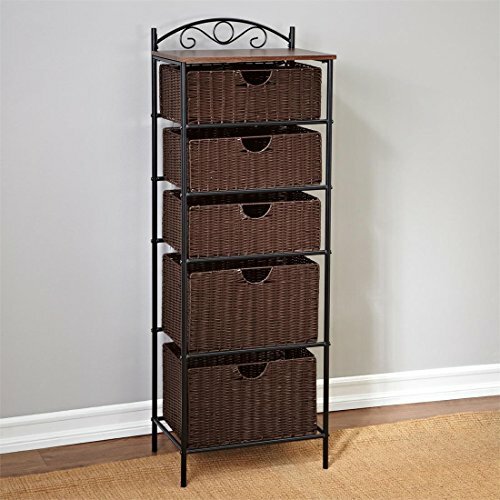 Why Buy?Keep your home looking neat and tidy with the help of amazing organizers. You’ll always be able to find the things you need when everything has its own easy-to-find place.